Senior Research Scientist Bruce Boman, MD, Ph.D., MSPH, FACP, at the Helen F. Graham Cancer Center & Research Institute of Christiana Care Health System in Wilmington, DE , has received a U.S. $ 916,577 grant from the Lisa Dean Moseley Foundation to further stem cell research into the origins of colon cancer. Funding research and clinical programs undertaken by qualified organizations, the foundation was established in 2004 by Lisa Dean MacGuigan Moseley (also known as Lisa Du Pont Moseley), the reclusive chain-smoking Du Pont heiress who came of age during the golden era of the DuPont Co and encouraged basic medical and scientific research through her charitable foundation. 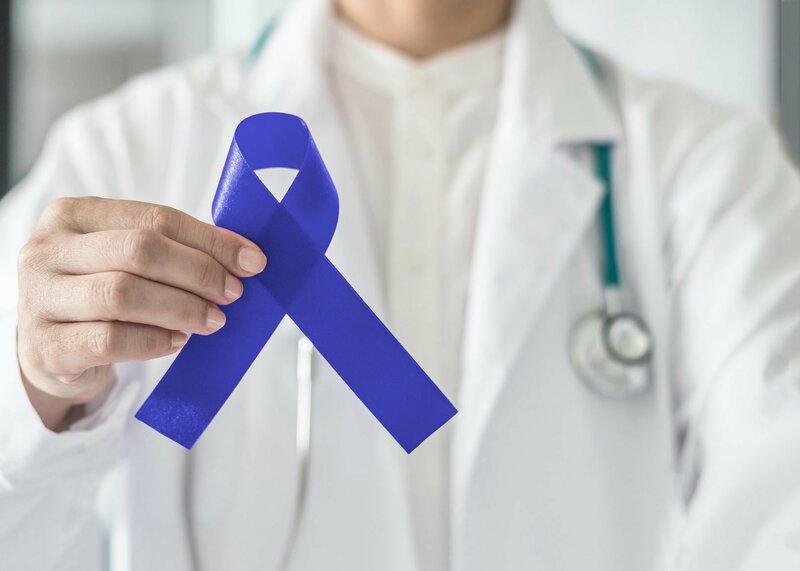 Colorectal or colon cancer is the second leading cause of cancer related deaths in the United States, equally affecting both men and women. Each year there are 130,000 new cases in the United States, and 40% of those affected will die from their disease. Conventional research over the last 50 years has been that tumors undergo a series of genetic mutations that lead to the unchecked growth of tumors and their progression to metastatic cancer. 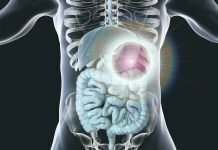 Traditional therapies designed to kill the bulk of cancer tumor cells continue to fall short of a cure for advanced, drug resistant colon cancers. The three-year grant will enable Boman and his team at the Center for Translational Cancer Research (CTCR) at Christiana Care to continue building on their innovative discovery that stem cell overpopulation is the mechanism that drives cancer development and growth in the colon. This knowledge could ultimately aid in developing targeted and more effective cancer treatment strategies. “While we know that stem cell overpopulation drives colon tumor development,” Boman explained. “However, we don’t completely understand which dysregulated mechanisms cause the overpopulation,” he added. Findings from our … research project …. provide a rationale to ultimately test glucagon-like peptide agonists as targeted anti-cancer stem cell therapeutics in human clinical oncology trials…. Support from the Lisa Dean Moseley Foundation will allow further investigation into the understanding of which dysregulated cellular mechanisms cause the stem cell overpopulation. 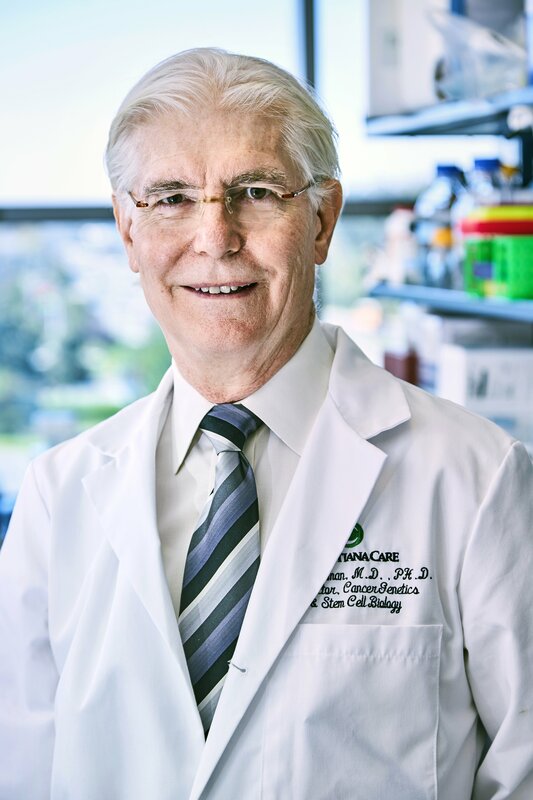 “The Partnership with Boman and his team at the Center for Translational Cancer Research holds great promise for a better understanding of how stem cells play a role in the cancer development,” noted William J. Martin, the secretary-treasurer of the Moseley Foundation. 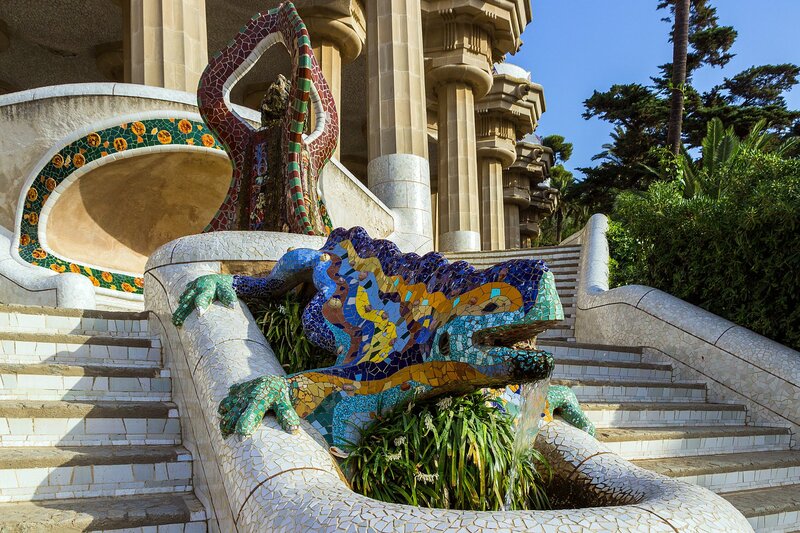 “This work is directly in line with the Foundation’s mission to support stem cell research and promises to accelerate scientific progress toward better cancer treatments,” Martin further explained. Boman’s team will take a multidisciplinary approach drawn from tumor biology, cancer genetics, pathology, medical oncology and molecular biology to discover how stem cells are regulated in the normal healthy colon and how gene mutations contribute to stem cell overpopulation in tumors. Specifically, they will study how inactivation of the adenomatous polyposis coli (APC) tumor suppressor gene leads to stem cell overpopulation that drives colon cancer development and growth. 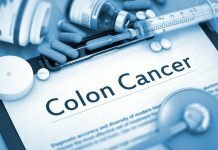 Earlier in 2018 Boman published findings that the retinoic acid signaling pathway acts to induce differentiation of colon cancer stem cells and reduce cancer stem cell overpopulation. Boman’s findings suggest that treatment with retinoid drugs, which are derived from vitamin A, could potentially provide a therapeutic strategy to selectively target cancer stem cells and decrease the number of highly resistant cancer cells. “Findings from our proposed research project should provide a rationale to ultimately test glucagon-like peptide agonists as targeted anti-cancer stem cell therapeutics in human clinical oncology trials,” Boman explained. 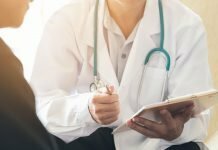 “The Moseley Foundation’s multi-year grant will spur the momentum of our cancer research program with support for a key research group investigating cancer stem cells,” said Nicholas J. Petrelli, M.D., Bank of America endowed medical director of the Helen F. Graham Cancer Center & Research Institute. “Our thinking has shifted to the insight that cancers originate in tissue stem cells through dysregulation or malfunction of the self-renewal process and that cancer stem cells drive tumor growth,” Boman said. “It follows that the optimal way to treat cancer (especially advanced cancer) is to eliminate cancer stem cells,” he added. 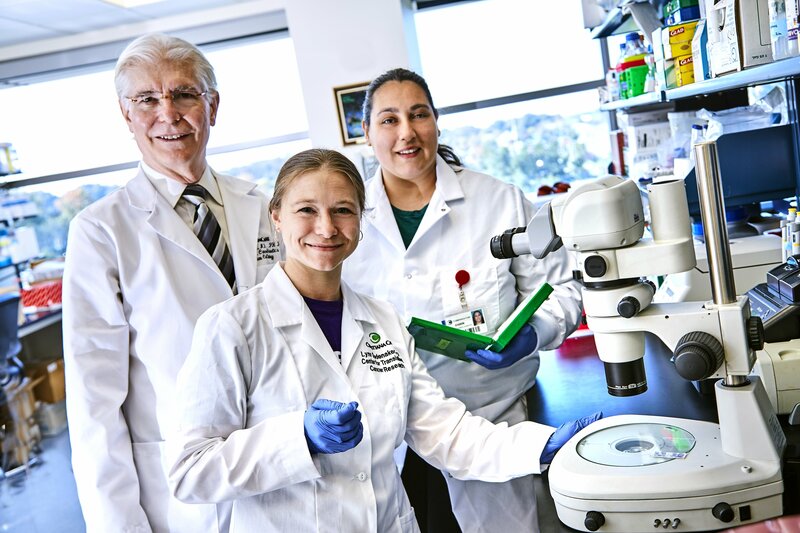 Featured Image: At the Center for Translational Cancer Research lab, Bruce Boman, MD, Ph.D., Cancer Research Manager Lynn Opdenaker, Ph.D., and Research Scientist Shirin Modarai, Ph.D. Courtesy: © 2010 – 2019 Christiana Care Health System. Used with permission. Photo 1.0: Bruce Boman, MD., Ph.D., MSPH, FACP, senior research scientist at the Helen F. Graham Cancer Center & Research of Christiana Care Health System Courtesy: © 2010 – 2019 Christiana Care Health System. Used with permission.